Airline business is the wildcard of the credit card processing world. Every credit card processor wants a great airline in it’s book of business. It just doesn’t want the atomic bomb of chargeback risk that can come along if an airline goes out of business. For airlines, this makes finding a strategic partner for credit card processing a difficult challenge. If it can be hard for a well-established airline to find a credit card processor, it might be said that operating a startup airline is the single hardest to establish merchant account on planet earth. Having allowed myself to make quite a dramatic statement, let me dial it back a few steps. Regardless of whether you operate an established or startup airline, it’s not impossible to get credit card processing with small (or even no) security reserves. You just need to come to the table armed with the proper knowledge to negotiate effectively, and have a set of goals in mind before you begin the process. Even large airlines should have a plan of attack to have the red carpet rolled out if thinking about switching payment processors. Your chosen credit card processor will not be decided solely based on rates and pricing. In fact, rates may take a back seat to the topic of security reserves. Blasphemy? It’s true. Airlines, no matter how big or small, need to get through the door. Rates are usually the first driving question that any new client of mine will bring up. However, when I’m speaking to an airline we quickly turn the discussion to the terms of approval. 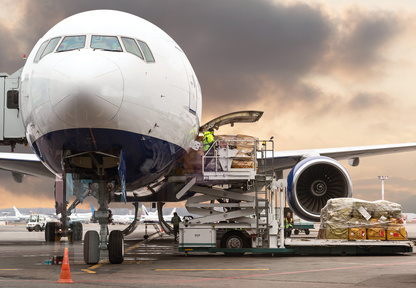 The process of establishing a merchant account for an airline starts by working together to build a strong case and present your business in the best possible light, so that you can get an approval with as small a security reserve as possible. Even though airline accounts can be tremendously rewarding to a credit card processor, the risks involved can be tremendous. We must acknowledge and understand those risks if we are to negotiate effectively to get both good rates, and little or no security reserve. Exploring these risks to the processor will help us to develop a better understanding of the concerns the payment processor will have, and this will help with negotiation strategy. If you operate a worldwide recognized airline there will certainly be less barriers to getting a payment processor, but even the largest and most well-reputed airline may not be boarded if time and circumstance are not correct for a given credit card processor. There are many reasons for this, but in one form or another it all draws down to chargeback risk. Before we can properly explain what future delivery is, you have to understand that "future delivery risk" stems from the fantastic consumer protection benefits that Visa and MasterCard provide to all cardholders. Cardholders are guaranteed to receive what they paid for when using a Visa or MasterCard. If a cardholder doesn’t get what they paid for they are supposed to get their money back. It’s one of the core consumer protection benefits of credit cards. What happens when a cardholder pays for something with a credit card but does not receive what they were promised? The cardholder can contact their card issuing bank to raise a dispute, and the card issuing bank will issue a chargeback against the merchant to try to get the cardholders money back. "Future delivery" refers to the amount of time that passes from the point of purchase, until the point in time when the cardholder receives what was purchased. If I purchase a video game and download it to my Xbox, the product is delivered instantly. There is no future delivery because I get what I paid for immediately. If I purchase a pair of shoes online they will be shipped to me. It will probably take a week. That means there is one week of future delivery risk. If I purchase a flight, I might be planning a vacation to Aruba. (Yes!!!) However, I probably can’t grab a duffle bag, stuff in some board shorts, scribble a note on the fridge and leave my family in the dust. Even though my quest to find the best rum punch in the Caribbean is surely remarkable and worthwhile, I just can’t make it happen instantly. I’m paying for my flight today, but I won’t receive the service I paid for until some point in the future. The future delivery timeframe for airline reservations is often about 60 days on average, and sometimes more depending on the type of customer you are catering to. At any given point in time, the credit card processor may have processed a lot of money for a service (flights) that have not yet been delivered to the customers. In the case of big airlines, it can be a LOT of money for flights that have not yet been provided. This is the future delivery risk for airlines. Visa and MasterCard have liquidity thresholds that all acquiring banks / credit card processors must maintain. In plainer English, a payment processor must maintain a certain amount of cash or assets for all of the transactions that they processed, because in the event of chargebacks or disputes, if a merchant cannot return the funds to the cardholer, the payment processor can be held responsible. An airline that does enough volume can throw that out of kilter. A large airline is one of the few businesses that do enough volume, and have enough future delivery risk, that in a worst case scenario it could realistically put a credit card processor out of business. We now understand that when a cardholder pays for something using their Visa or MasterCard they are guaranteed to get it. Full stop. If they don’t get what was promised, the cardholder will get their money back. While this is a fantastic value for cardholders, it is also the problem that a credit card processor must deal with when boarding and processing payments on behalf of airlines. The underwriter is going to be very concerned about what would happen if the airline goes out of business. The financial implication of something like that happening could be devastating to the credit card processor. What will happen if the airline isn’t able to deliver the flights as promised? The answer is not good. If the cardholder did not receive the flight as promised, the processor has to return the money to every cardholder that is affected. This happens as soon as the disputes are created, not when they are decided. The processor will have the contractual right to go after the airline to recoup the costs, but if the airline is going out of business the processor is going to be one of many in line waiting to get paid by the airline. It’s quite possible the processor may not be able to recoup all the funds. For that matter, large airlines can process billions of dollars per year in flight payments. Billions. The amount of money that a processor could potentially be liable for is tremendous. That is why payment processors only want to board well managed, stable airlines with strong financials. This creates an especially tough challenge for startup and young airlines to overcome because they don’t have a track record to stand on. What I do in my role is work with my clients to understand their business, and build a strong argument to explain why many of the underwriters concerns may not be legitimate in the case of my client. We will strategize in terms of ways to develop a funding schedule so that if there is a reserve, the money will be released back to the airline as quickly as possible after the flights occur. If we highlight the strengths of the business we can offset the perceived risks. Done correctly, we’ll have a much higher chance at better terms of approval (and yes, better rates as well). Building a case to highlight the strength of your business may be easy or challenging depending on the strength and maturity of the business you represent. If the airline you work for is a household name, your job is much easier. If it’s a startup airline, it’s harder. But in all cases it is always worth the effort put into it. At a bare minimum this exercise will help you to negotiate more effectively. Most likely it will have a significant positive impact in several ways such as rates and improving the funding terms that will be offered. Touch upon the history and background of the business. Talk about the owners, investors and significant stakeholders. This is especially important if it’s a new airline. Separate yourself from the pack. You need to capitalize on the expertise that your management team represents, and anything proprietary that would position your business in a more desirable light than the typical airline. Projections of payment processing volumes. At bare minimum an annual volume projection broken down by month for each currency you want to process. Estimate as accurately as you can. Nobody will complain if you don’t hit your estimate so long as it’s in the realm of reason. Any particular requirements that you are looking for. Any particular problems you are trying to solve. Any particular concerns you may have (for example, if you currently have a rolling reserve and would like a payment processing partner that will not require a rolling reserve). Putting this information together in the right way is a bit of an art. It is a balancing act because you must have enough information to make it credible and compelling, but still brief enough so somebody will actually read it. Even once perfected, getting this information into the hands of the right person is one of the biggest challenges. If you have a strong relationship with a payment processor, and if they will open a direct channel between yourself and a senior risk officer, this is a very good place to go. When representing an airline, you want to make it clear early on in the sales process that the terms of approval are as important as the rates that are being offered, and you are looking for a strategic long term partner that understands airlines. As such, ask for a call to discuss the risk and approval criteria. If you don’t have a channel to facilitate this conversation you can email me, or contact us by phone about your project. My core expertise is helping large merchants navigate the complex world of international payments and cross border / multi-currency payment processing. A word of caution for large airlines: speaking to the credit risk team relatively early in the process is important. Large airlines will experience both a benefit and a drawback in that a salesperson at the processor will always have a huge appetite to board a great airline. It’s their job. The problem is the underwriter will be defending the goal line, and the salesperson may be filtering out things from risk that they don’t want you to hear. You may not always be able to speak to the risk officers, but whenever possible, you should absolutely do it. Ideally you will want the opportunity to have a meeting (or a telephone meeting) with the most senior underwriter, ideally the risk person who will have the most significant decision making authority regarding your account. On the processors side of the table, this is a benefit for them too, because it allows them to explore the opportunity and they can pre-vet with some initial questions. If you are able to do this you will have positioned your airline in a very desirable situation for further discussions, and you can begin to focus your efforts on the rates discussion. It’s better to build an appetite for the business and to negotiate rates secondarily. Winning the approval of the salesperson (who will always want your business) is not hard. The harder job is to convince the risk officers. If you can get the risk folks, in a manner, to advocate for your account, you will be far, far ahead of the curve. I’m getting quite technical here in terms of the approach, but this is a strategy I often employ with my clients. Most often I will start by focusing on the risk side of the business by presenting the opportunity to a number of banks, starting with the most senior credit risk people, building an appetite, and once that’s done take it forward to several rate quotations which can be leveraged against one another. Done properly, it is a very strategic process that increases the chance for better rates and terms of approval. With all of this having been said, don’t be too overly concerned about the process of it. Even if you are going on your own and approaching several processing banks, simply by being aware of the concepts, and most importantly – by putting yourselves in the risk officers shoes – you can have a meaningful conversation to address their concerns. This will help you to negotiate more effectively in terms of both rates and approval. I did everything you said and still got declined!?! It happens. There have been times I have had very good, very desirable clients and we have failed to establish an account. There are no guarantees when it comes to airlines. In fact, for very large airlines it’s quite possible that the processor will fully want to approve and board the business, but is unable to because they have no more room in their processing portfolio for additional airline business because of the Visa/MC liquidity thresholds, or because of chargeback thresholds across the processors entire processing portfolio, or a number of different reasons. In the case of a young airline, it may just be too cash strapped and simply carries too much perceived risk to the processor. Sometimes you make your best effort and hit a brick wall, but even in that situation all is not lost. A "no" is never a no. It’s only a "not like this", and "not right now". When you can’t get what you want, you have to compromise. How far you are willing to bend will determine how far you can go towards securing the approval. For example, if you operate a young startup airline you might not want the processor to require a rolling reserve. You, quite understandably, might want low rates and daily funding without any holdback. But you probably won’t get it. Colin Chapman, founder of Lotus Cars, is famously known for asking not what options his customers wanted, but what features his customers could live without. In Colin’s case it was to build the lightest, best performing sports cars by making the car lighter. Although this is a very different situation, the same mentality must be applied here. If a client of mine is in a difficult situation regarding approval, we sit down and candidly discuss what we can honestly live without. What we can we compromise on? These are things that my client won’t be happy with, but also won’t be significantly detrimental to the business. For example, if a processor offered funding two weeks in arrears, it might mean you have to reallocate a portion of your advertising budget into securing your merchant account. That would not make any business happy, least of all the marketing folks. But perhaps you could do it, even if only for the short term, to ramp up volume over the first few months. While it might mean a scaled back launch, it could mean the difference between being in business, or having a stalled launch. It’s not ideal, a bit painful, but workable if necessary. If the processor said they wanted to hold 100% of funds processed for 90 days, it might literally ground your fleet. That would not be acceptable. Sometimes there are hard questions and hard decisions. In these cases I sometimes refer to it as "buying the approval". If the bank won’t approve the account, you negotiate in such a way as to make it impossible for them to say no. Find out every concern they have, and proactively address it so it can no longer be used as a reason to decline the account. If the issues are financial sometimes, at least at the start, you need to agree to the security reserve or upfront collateral requirements just to get the deal done. By showing that you are willing to be flexible it shows that you are serious about this business relationship, and that can have a positive effect. Fair warning, there are indeed times when a "no" can’t be overturned, but fortunately they are rare. These negotiations are important and must be undertaken with tact. In my experience, if you are careful and delicate about how you handle and communicate back after the decline decision, you can find your common ground, bridge the gap, and build a roadmap that will let you work together. As an example, I recently worked with a startup OTA (online travel agency) specializing in flight reservations. They had deployed a fantastic platform and had a beautiful website. The issue was their current processor had enforced too heavy of a security reserve. It was holding back the growth of the business. They came to me and asked what we could to do secure faster funding / lower reserve elsewhere. I asked how much money the other processor was holding, and with some math we determined they were fully collateralized for 60 days worth of flights. We worked together and they had a lot of last minute travelers. We suggested that if they limited customer purchases to no more than 30 days ahead of departure, I could get them approved with a reserve limited to 30 days. For their business, this worked perfectly. We took it with success to the new processor. In the end we actually reduced it below 30 days of collateralization but it’s beyond the intended scope of this discussion to dig too far into the details. The point is the client understood the problem and we came up with a solution, which I was able to use to convince our sponsor bank to accept the account. Another option could have been to agree to fund the airline after each flight has departed. This creates a major reporting challenge. Most credit card processors are not willing or able to implement this because they do not have the infrastructure in which to handle this procedure. I have implemented it successfully with several airline clients, and so in some cases it can indeed work (you will need a reporting platform that makes it possible to see flight data once per day, among other requirements). You have to assess your situation and figure out how far you can bend without breaking to get the approval, with an emphasis on improving the terms of your account over time (which is another important part of the strategy). As a last point, just to make my readers feel better, these examples are for challenging situations in which young airlines or OTA’s I’ve worked with are undergoing startup pains with tight cash flow. In the end we got the job done. Not only that, but the terms of approval get better with time as the processing history is established. The takeaway should be that where there is a will, there is often a way. The amount of reserve will primarily be determined by two things. i) The strength of your company and it’s likelihood to continue operating smoothly in the future. It is obvious that a startup will be in a harder financial position than an established business. To a significant degree, as a startup you will be leveraging your management team, their expertise, significant investors, and intangible factors that are still very meaningful that separate your business from a slew of other startup airlines. On the other hand, if you are operate an established business you have some power to negotiate with. One important statistic to come to the table with is the average number of days prior to departure that your customers purchase their ticket. This figure will drive the future delivery risk calculation. You should expect the processor to be collateralizing against this figure. For example, if your airline is frequented by business travelers, the average customer might book 30 days in advance of departure (which is shorter than some airlines), and if so you would look at the amount of money you process in that 30 day period. That will be the baseline of future delivery chargeback risk the processor will be considering, and gives you a starting point for your negotiation. With that number in mind you can leverage the unique aspects of your business to establish why they (possibly) shouldn’t need to be fully secured against this chargeback risk, for example, because your airline has been in business for a long time and is stable and financially secure. Airlines are one of the only categories of business that can work with credit card processors in any country. For clarity, credit card processors are usually restricted to working with businesses that have a presence (a registered business) in the same country that the credit card processor is based in. For example, a Canadian payment processor can only contract with a business that that is registered in Canada. This is a Visa and MasterCard rule. However, Airlines have an exception to this rule. Airlines fall under a global processing license and can work with credit card processors in any region. This affords airlines an interesting opportunity to work with a wide range of potential credit card processors. In fact, it greatly expands the options on the table, which is a good thing for an airline looking to find the best possible partner. This exception to the acquiring license rules allows airlines are able to more easily offer ticket sales in multiple currencies than other businesses. For example, a Canadian airline can contract with a UK payment processor to offer ticket sales in GBP to it’s UK customers. If your airline is going to deploy multi-currency payments, my team at Merchant Accounts.ca is exceptionally capable of assisting you with implementing a solution. We maintain a strong network of international acquiring partners to be able to provide payment processing in a number of different currencies and countries. If this is a requirement for your business you can contact us to discuss your project. The only qualifying statement to add onto this paragraph is that if your airline is caters to mostly domestic (in-country, not international) travelers it will most likely make sense to work with a processor that is based in your home country as it provides an interchange cost benefit to do so. BSP and ARC are global transaction clearing platforms in which travel operators and agencies can push transactions back to the airlines. The flow of funds is between the cardholder and the airline, even if the customer is not directly purchasing the ticket from the airline. With this platform the travel or ticketing agent will bill their portion of the fees, and the airline will bill the cardholder directly for the airfare. This solves a number of problems, and specifically eliminates the need for the travel agency having to remit funds back to the airline. It also reduces the amount of airfare related chargeback risk for the travel agent since they didn’t process the airfare portion of the reservation. ARC and BSP systems are beyond the intended scope of this discussion, but more information can be found here for BSP and here for ARC. Free Trips for Fraudsters? I don’t think so! Flights don’t lend themselves to be particularly conducive to fraudsters because ID must be presented at the ticket counter. Not that it’s impossible, just more brazen than a fraudster using a stolen card to purchase software or a physical good that could be shipped to a post office box. However, chargebacks can still occur, and in particular can occur because sometimes a customer will knowingly dispute a legitimate order. The issue is that people can be, well… unreasonable. An airline can put great effort into ensuring it’s guests enjoy safe, comfortable flights, but they can’t help it if a customer doesn’t show up. This could simply be down to the fact they slept in, or traffic was heavy, and missed their flight. If that happens, even if it’s unreasonable, the cardholder could try to issue a chargeback, which the airline should win, but of course even having the dispute arise at all is still a unnecessary drain on resource. There are not many things you can do to protect against this other than having good records, proof of purchase, and excellent fraud screening at the point of ordering. In terms of approval of your account, when shopping to find a new credit card processor you will want to demonstrate that you have a strong processing history with low chargebacks. It is ideal to come to the table with one, or even better, two years of processing statements to demonstrate your trading volume and chargeback percentages. If you don’t have this because you are operating a new or young airline, it is best to address in your cover how you will combat fraud and why procedures or technologies you will employ. This article won’t dip into anti-fraud technology but if you want to brush up more a discussion about this some info can be found at https://www.merchant-accounts.ca/how_to_fight_fraud_reduce_chargebacks.php. Establishing payment processing is more complicated for an airline than it is for most other types of businesses. It is perhaps one of the most challenging to negotiate and difficult to approve types of accounts to get in the world of credit card processing. Getting excellent rates and quick funding schedule is entirely doable, but strategy is paramount. In addition to the topics discussed in this article I suggest brushing up on your knowledge regarding interchange. Understanding the costs that your payment processor will incur when providing your service will put you in a stronger position when negotiating rates. As a side note, this blog article was challenging to write in the sense that there are so many aspects for airlines to consider when deploying a payments solution. If I’ve missed something, or if you have questions that weren’t addressed herein, please feel free to contact me and I will answer your questions (and will update this article accordingly). I enjoy working in the travel space, and am the first to admit that every time I work on a travel account I learn something new. It’s an evolving space, and an exciting one to be working in. If you have any questions at all don’t hesitate to reach out to me, as I’m happy to discuss the specifics of your project. If you’ve found this article helpful you can show your support by sharing on LinkedIn or other social media. Or just send me complimentary airfare to grab a rum punch in a secret corner of the Caribbean. Either will do just fine. My name is David Goodale, CEO at Merchant Accounts.ca. Over the past 15 years I've worked with clients from all over the world, including travel businesses and airlines in the UK, Singapore, Canada and the USA. The payments space is fast moving, with an ever evolving number of payment methods, integration options, and increasingly complex interchange considerations. If you have any questions about this article, or anything payments related don't hesitate to contact me. I'm always happy to help with an honest opinion, and enjoy speaking to people with interesting and different challenges for me.